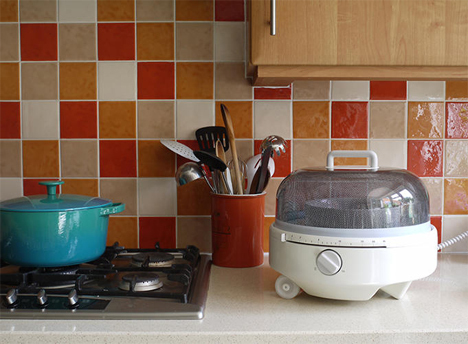 When the microwave oven first entered our kitchens, it completely revolutionized the way we cook and eat. Dinner in 90 seconds? Heck yeah! Plasticky popcorn from a bag in two minutes? You bet! But other than adding more buttons and making the devices increasingly modern-looking, not much has changed in the actual microwave design over the decades. 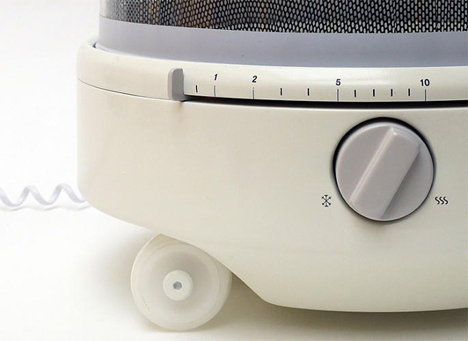 Designer Jake Rich has completely made over the microwave oven with a design that simplifies the appliance and makes it easier to operate and to clean. 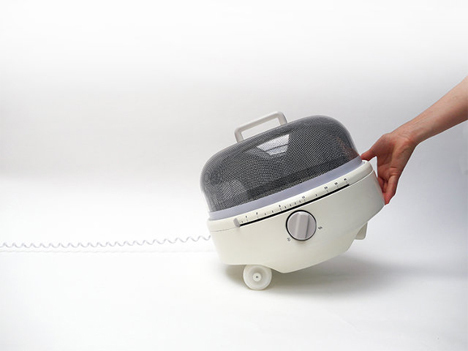 The Mediumwave is a rounded, wheeled contraption that looks like a covered cake carrier. It is roughly the same diameter as a large dinner plate, which gives you approximately the same interior area that you get with today’s square microwaves. Rather than popping open a door to get to your food, you simply lift up the dome lid. The oven immediately stops so that you aren’t exposed to the harmful waves while you stir your food or check to see if your chicken has defrosted. While it’s working, the translucent lid allows you to watch your food cooking. 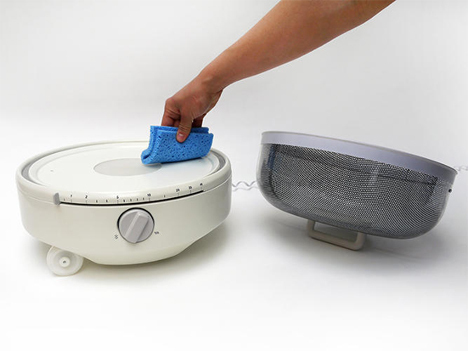 Shifting the design from an enclosed box to a platform-and-dome makes cleaning much easier and far less disgusting. The redesigned microwave features a dial that lets you choose the strength of the cooking waves and a simple sliding switch to choose the cooking time. The brightness of the interior light changes depending on the power level being used. The pared-down controls might not be for everyone, but they help the Mediumwave keep its minimalist appearance while taking the superfluous functions out of the equations – who ever uses that baked potato button, anyway? 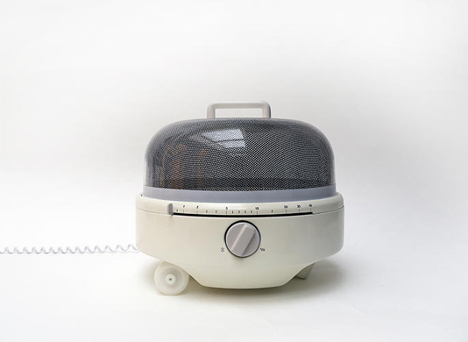 According to the designer, the Mediumwave is a different way to look at look at our relationship with the common domestic technology we all live with and love. Rich has stated that he does hope to mass produce the revamped microwave, but he hasn’t yet partnered with a company to make that magic happen.